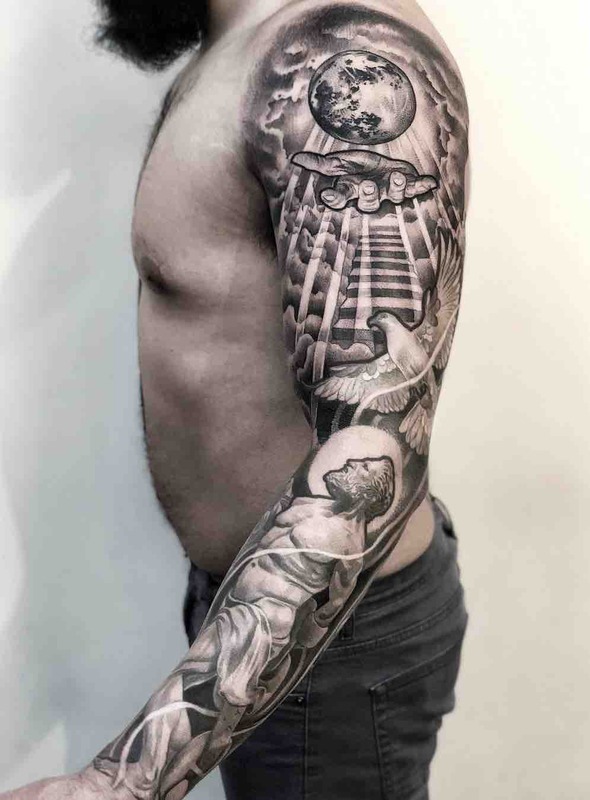 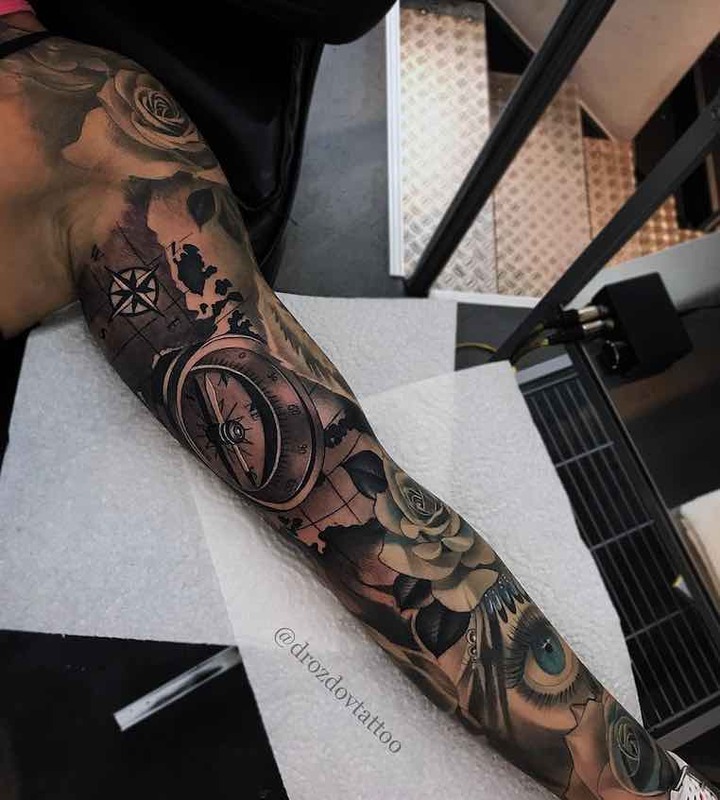 A sleeve tattoo starts from the shoulder and ends around the wrist, some sleeves start at the chest making more room for design possibilities. 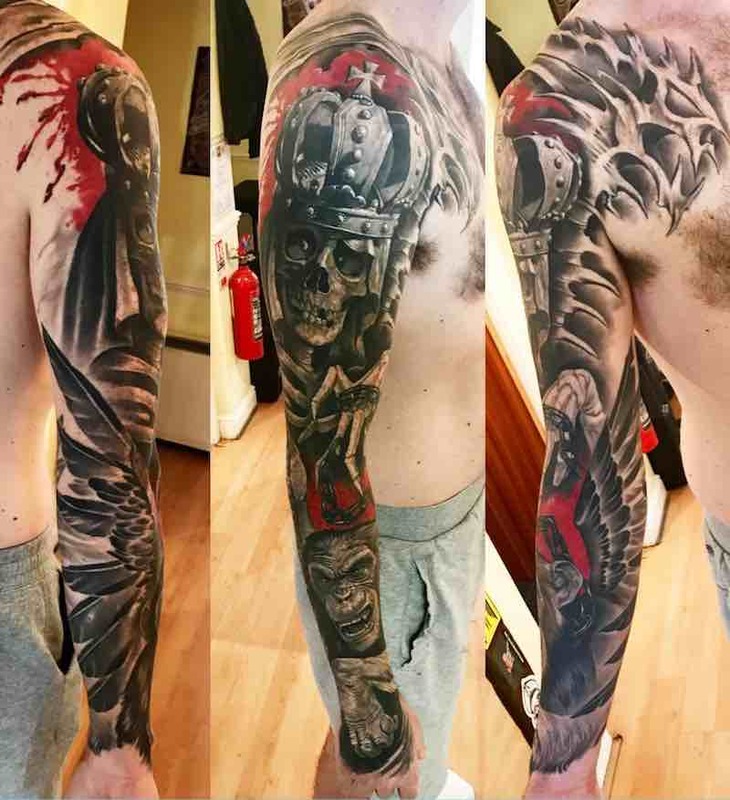 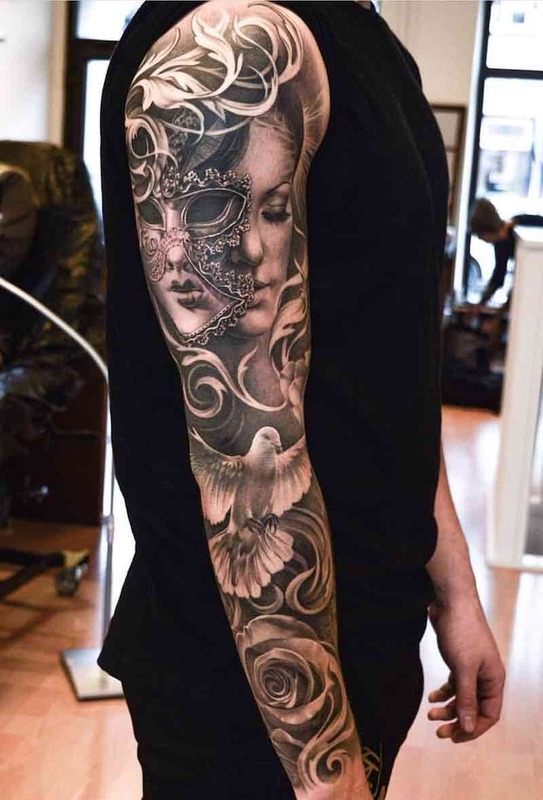 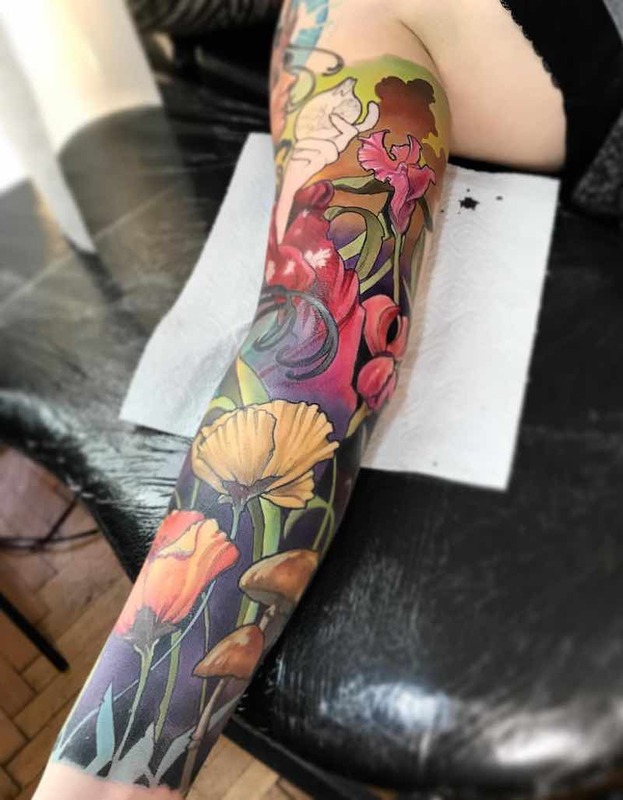 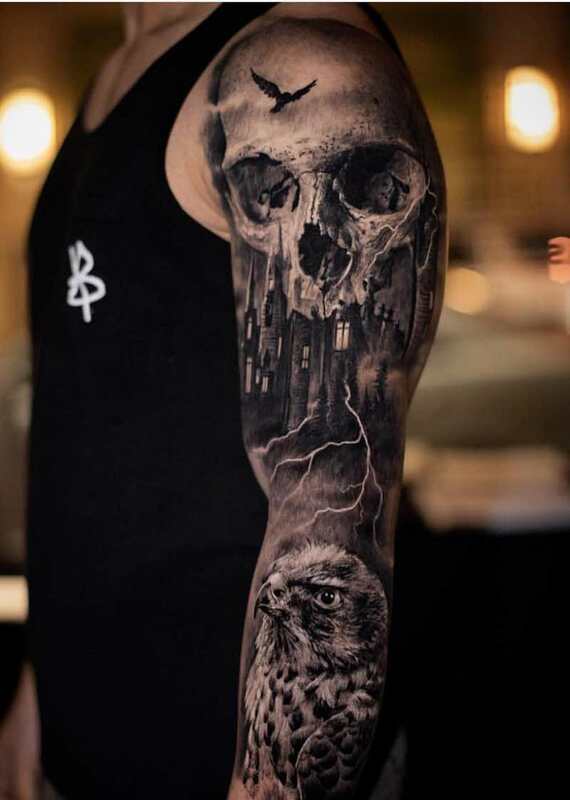 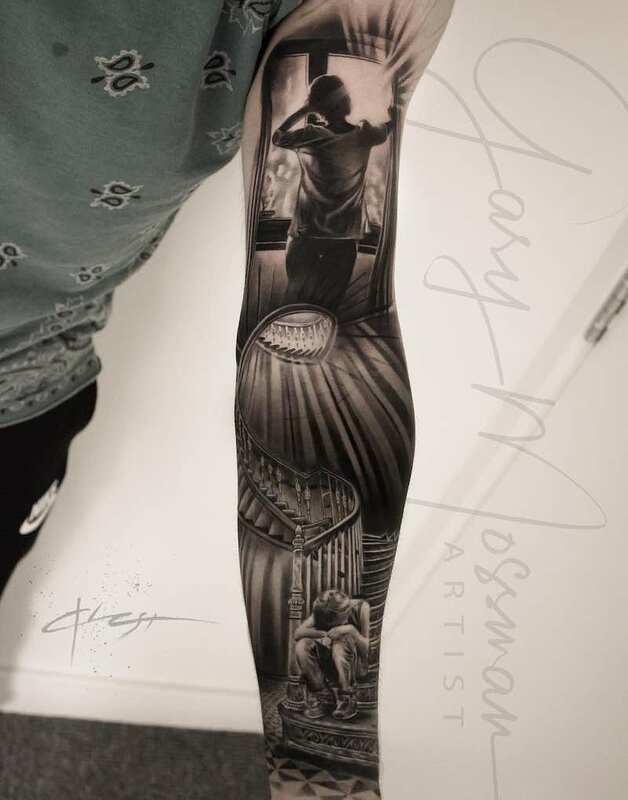 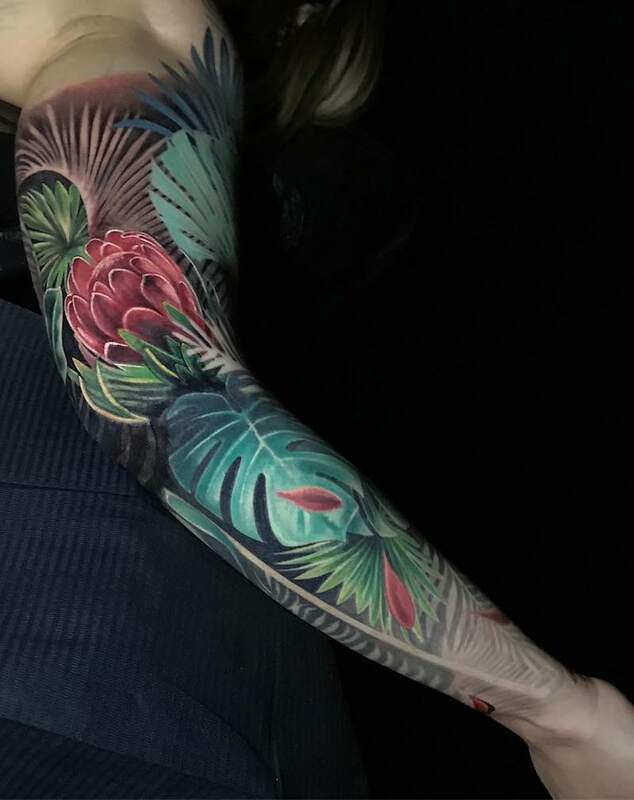 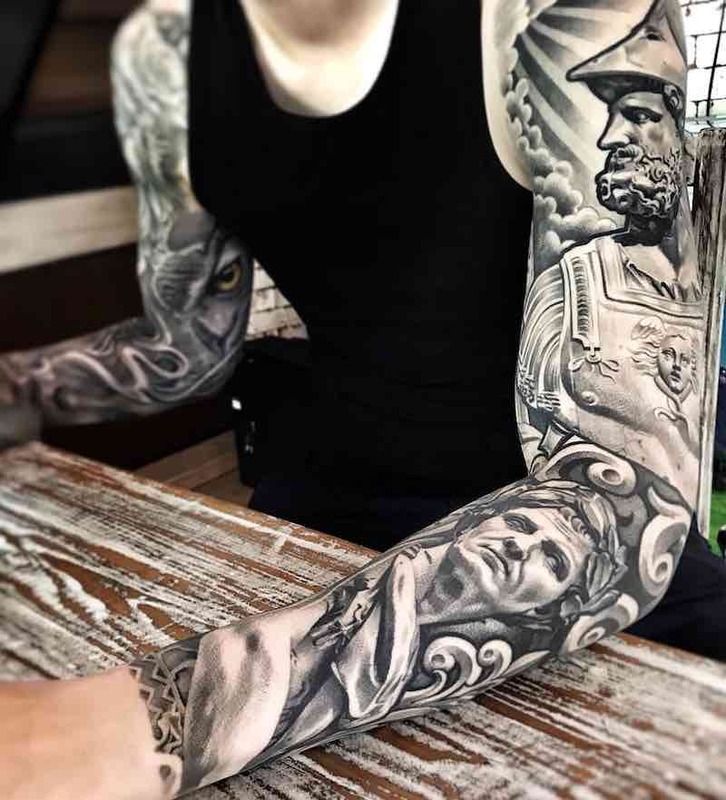 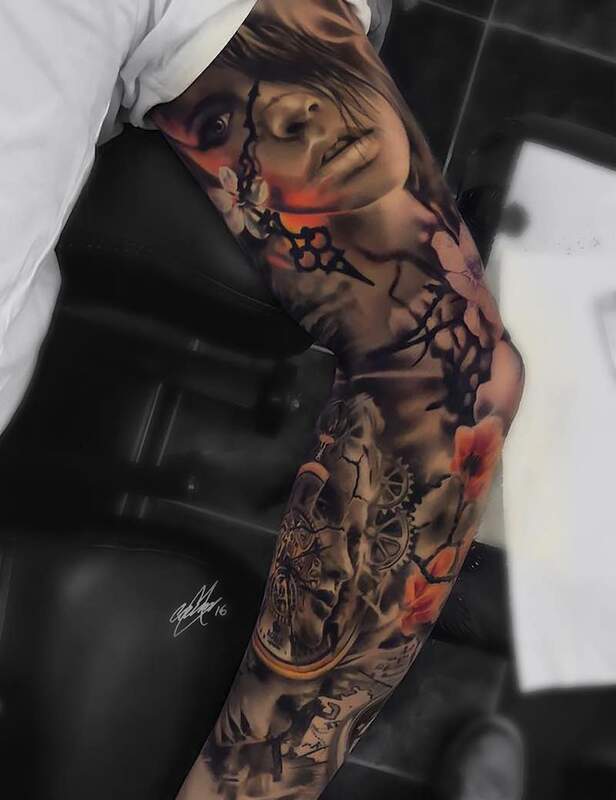 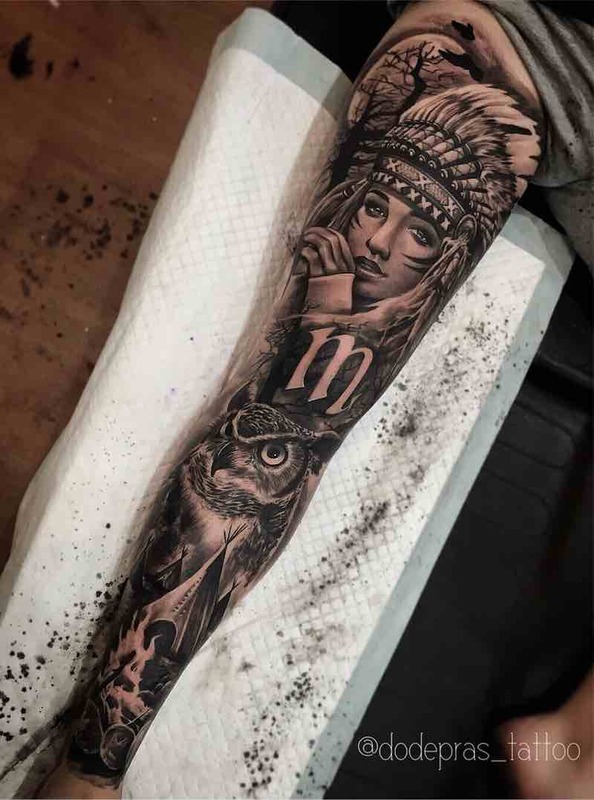 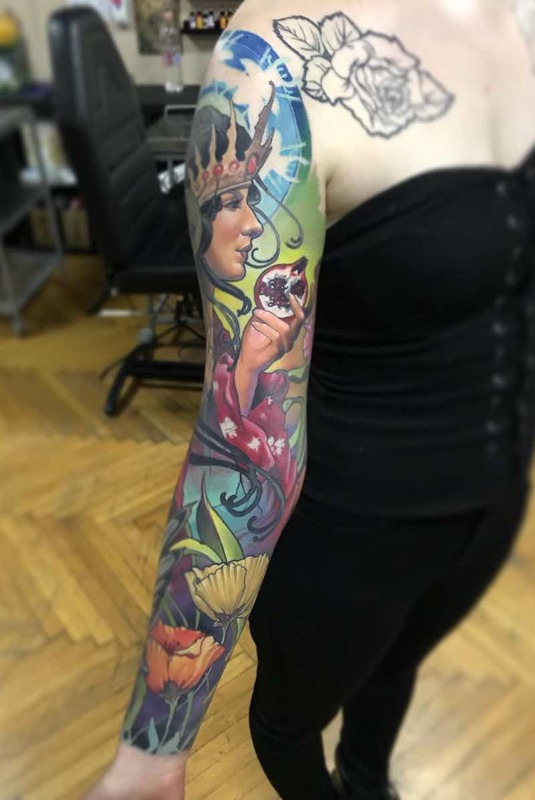 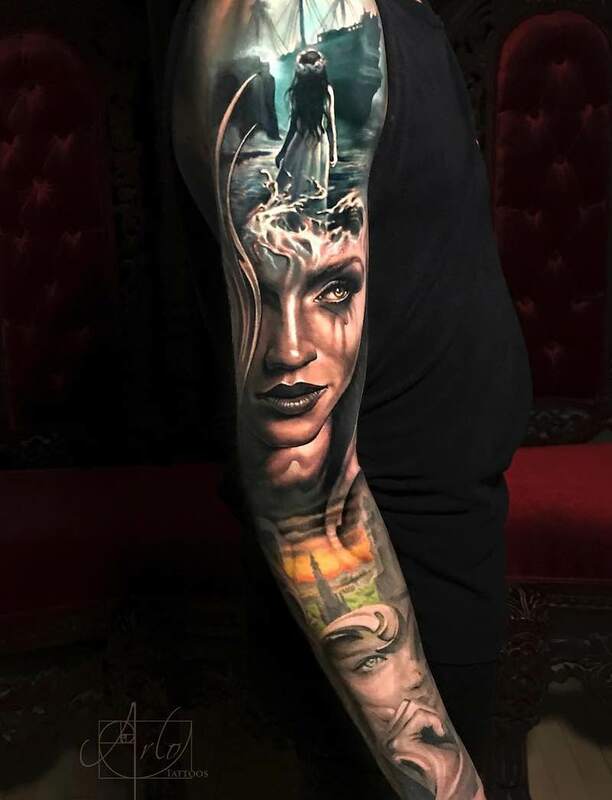 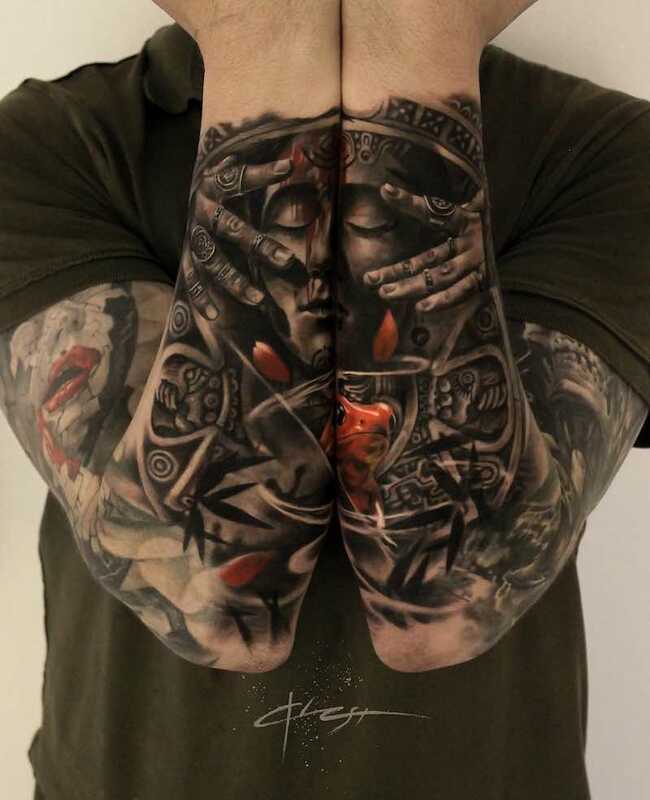 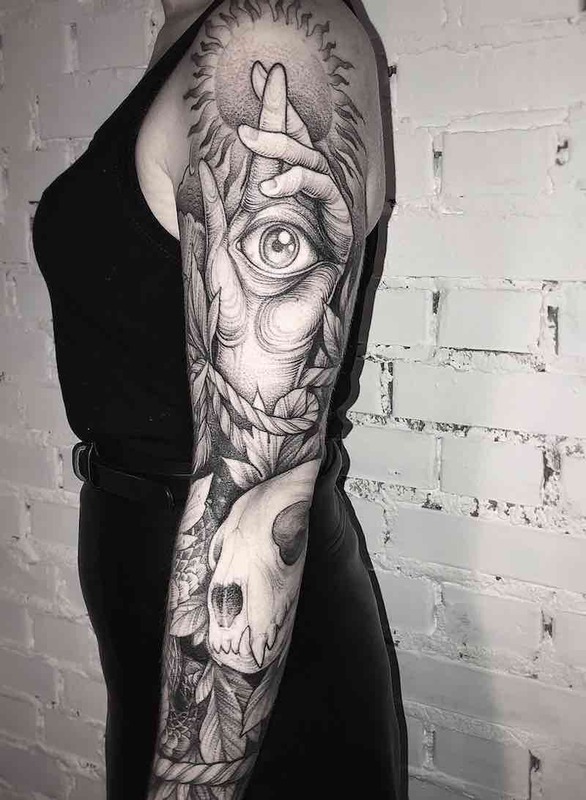 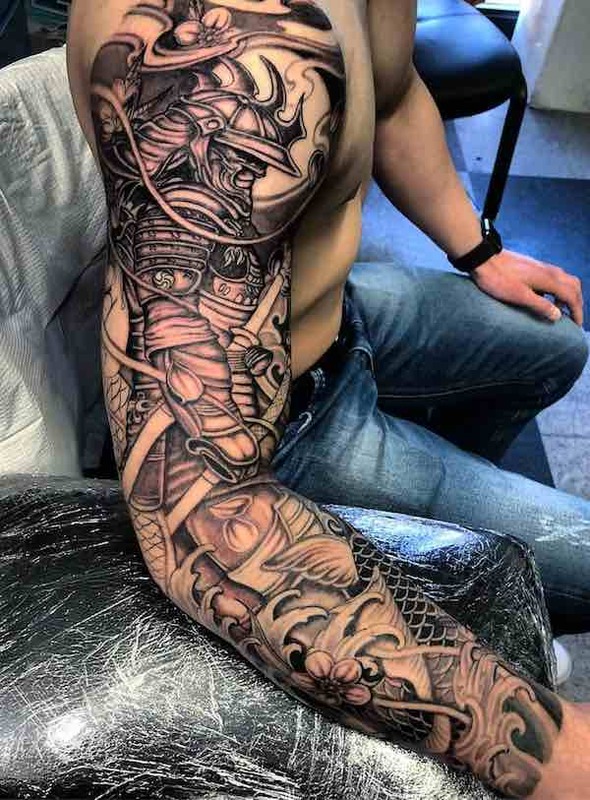 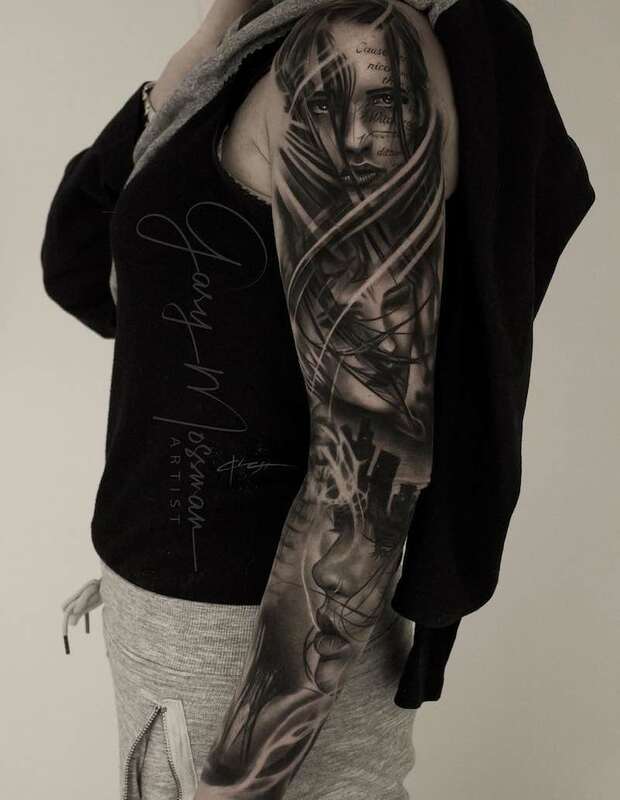 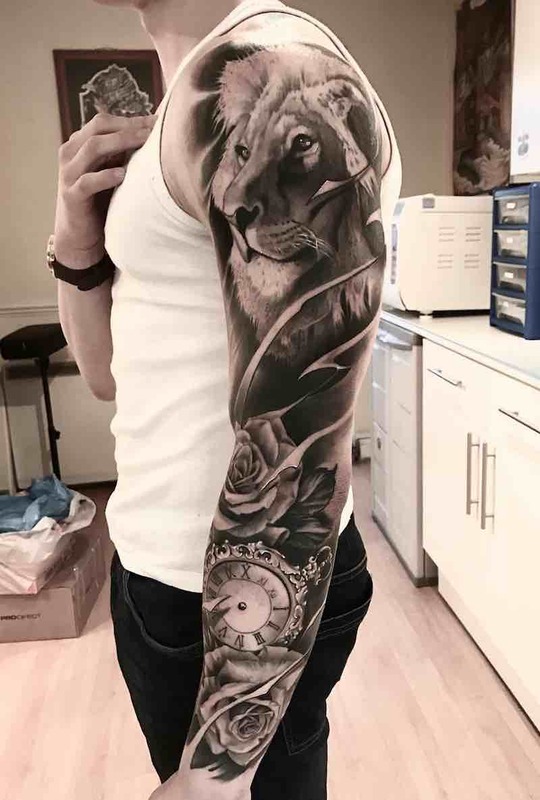 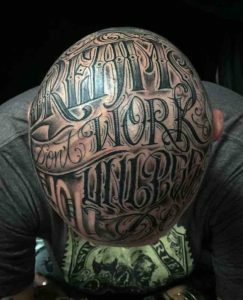 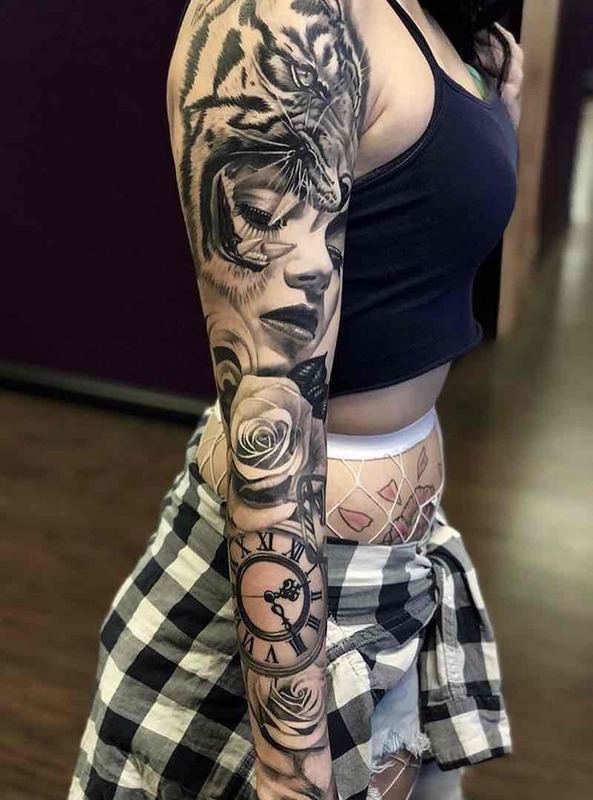 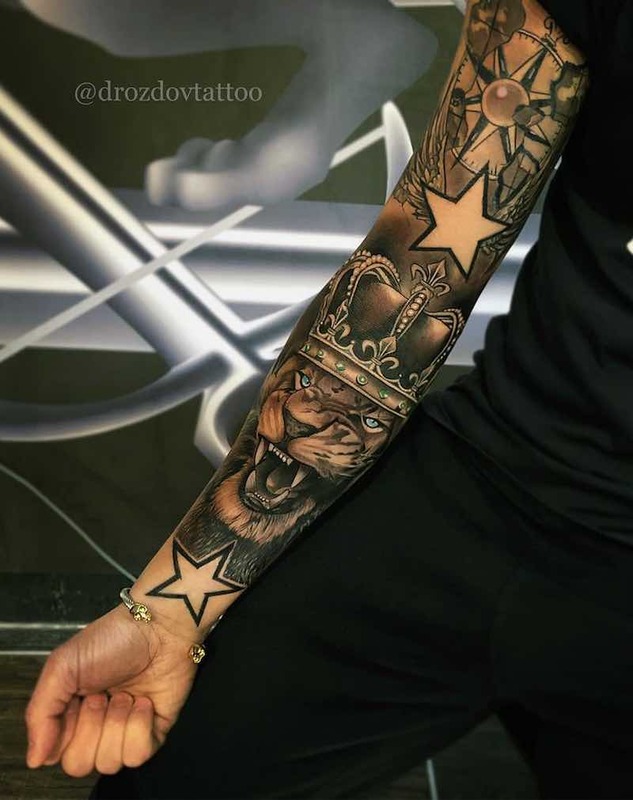 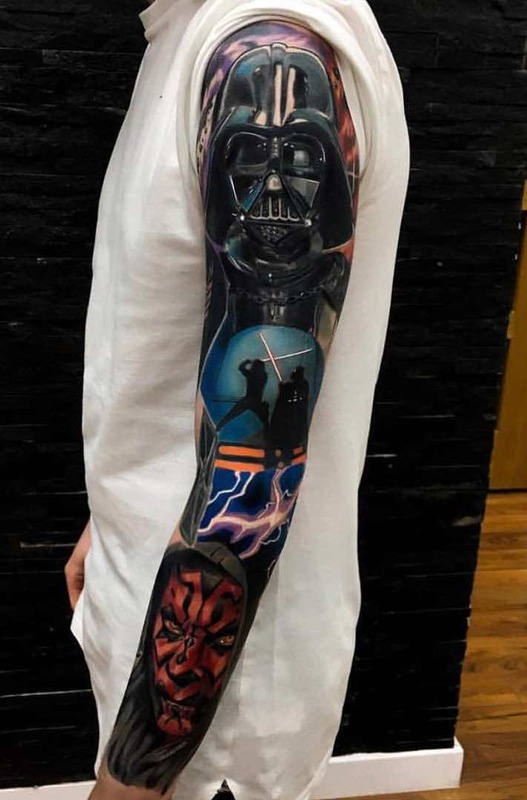 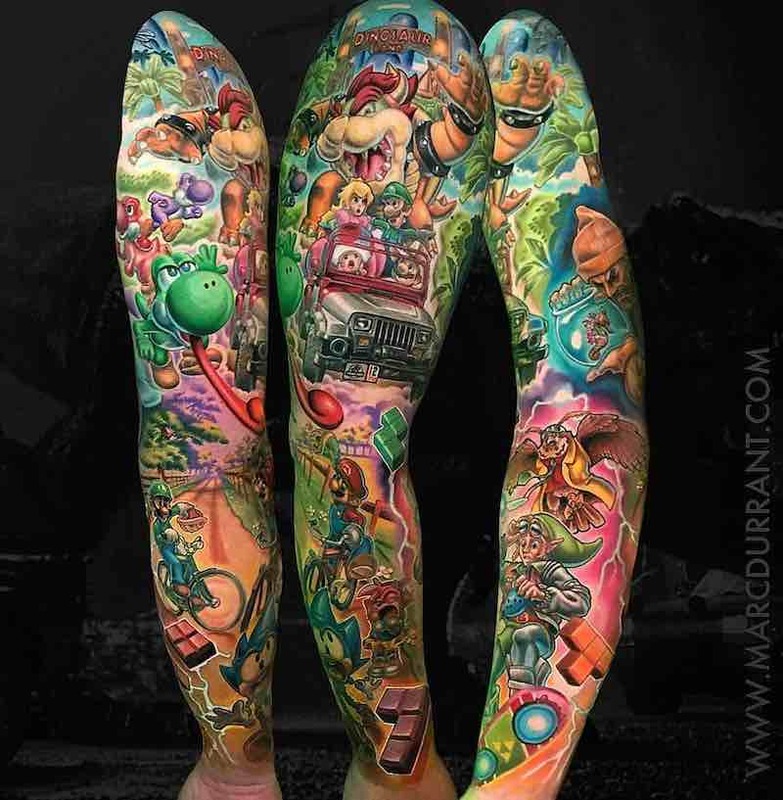 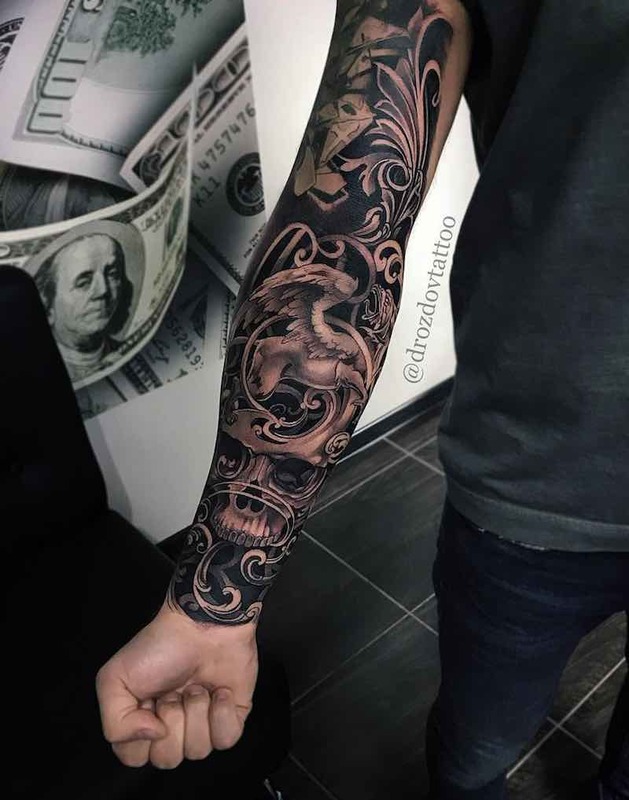 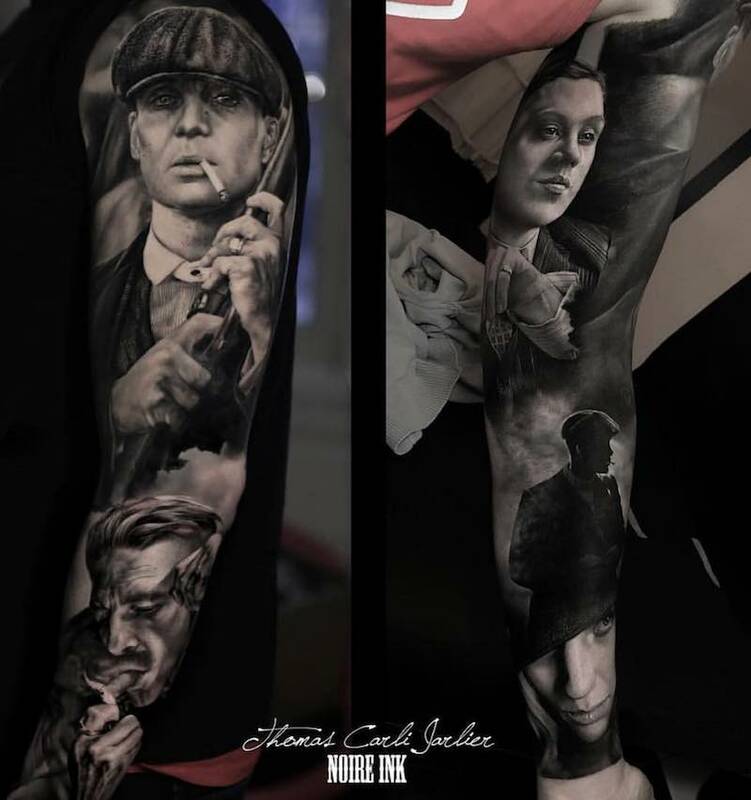 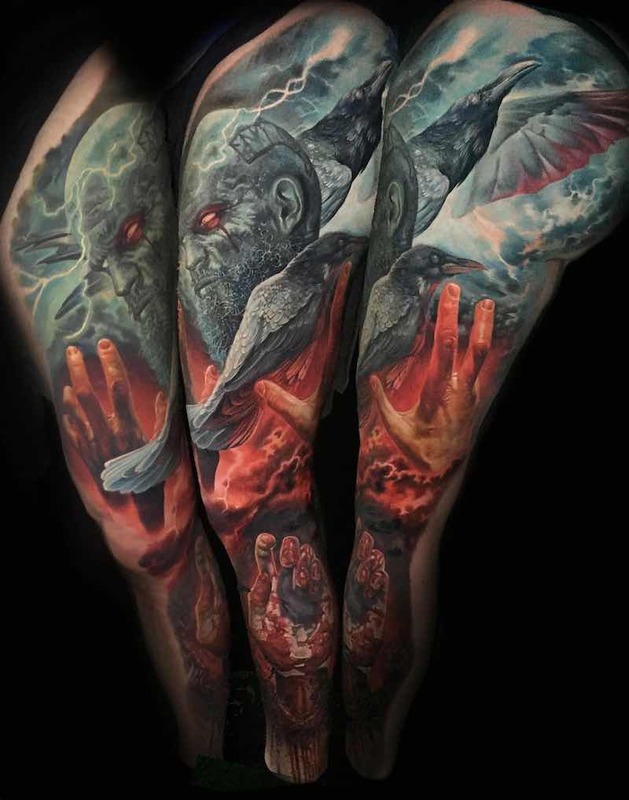 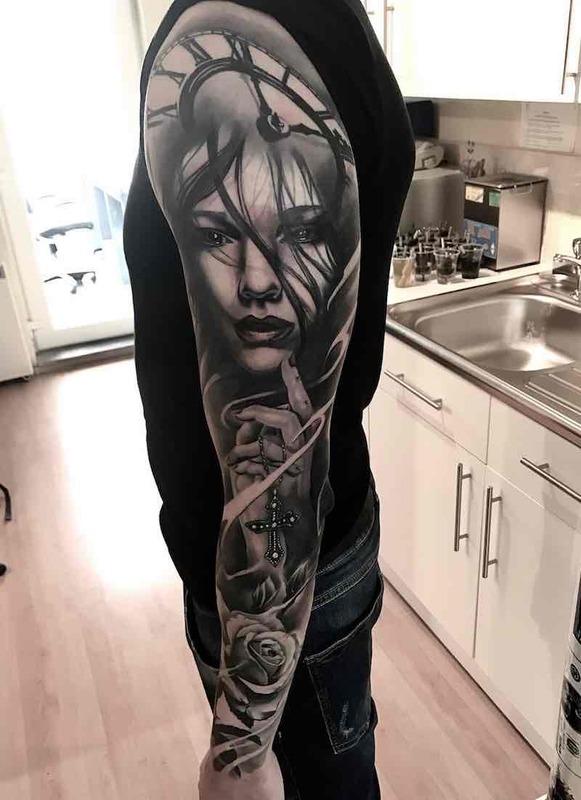 When getting a sleeve tattoo an important decision to make is whether have color or go black and grey, some tattoo sleeves have a bit of both, typically full black and grey with a touch of color, this makes the colored area pop and stand out. 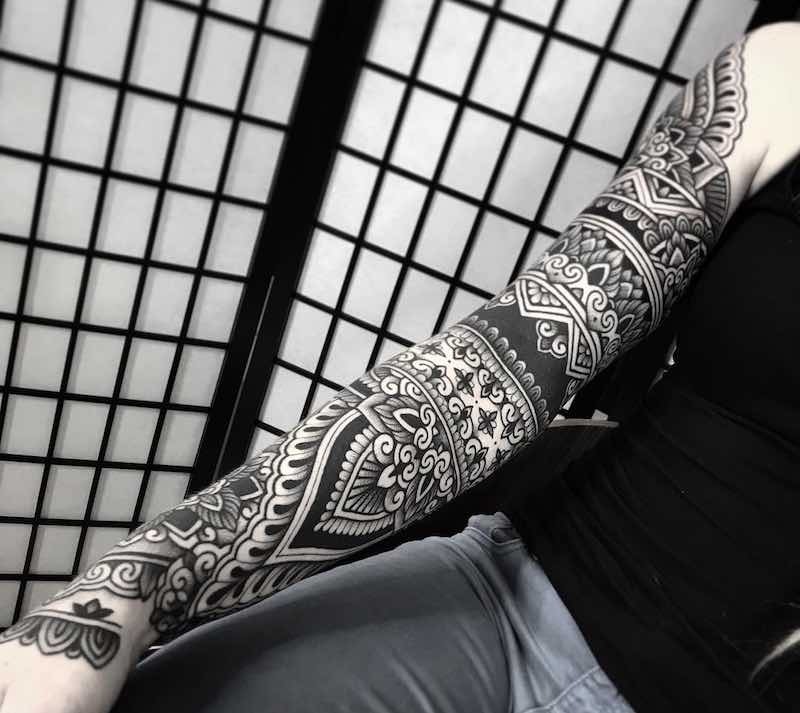 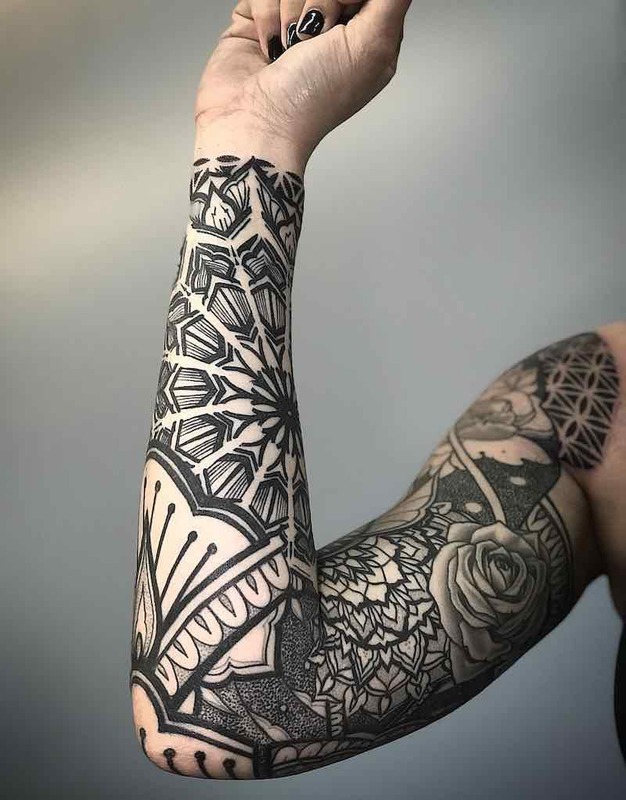 When designing a tattoo sleeve it can be difficult to piece together the main designs, popular sleeve tattoo backgrounds are flowers, filigree, and geometric patterns. 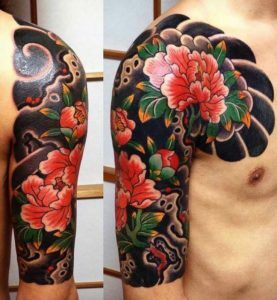 For Japanese Sleeve Tattoos click the link to find the best in Japanese tattoo sleeves. 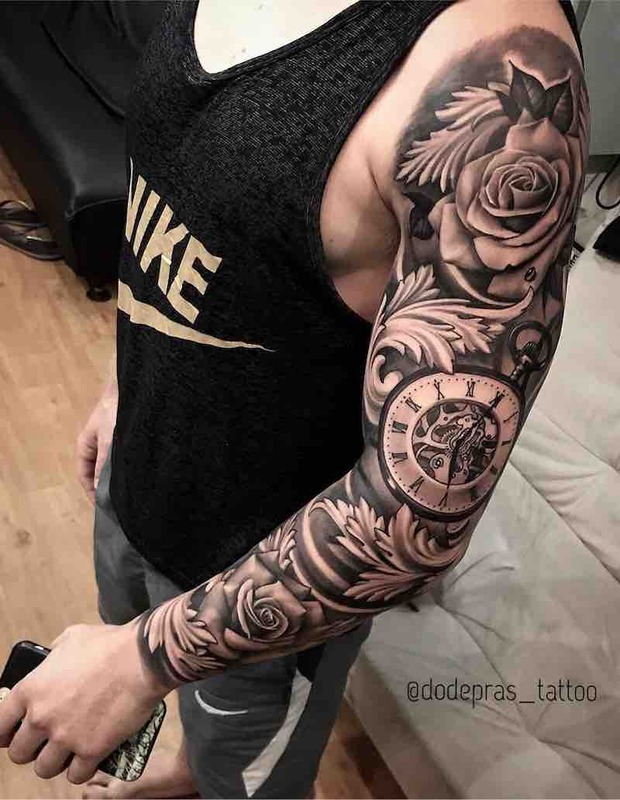 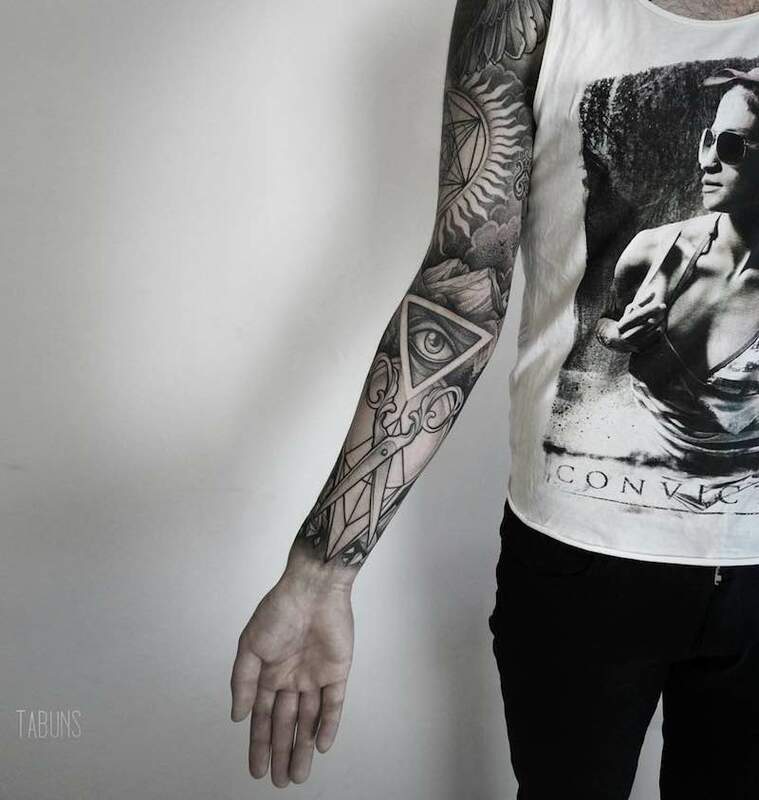 Black and grey sleeve tattoos have a classic feel to them and look great on anyone. 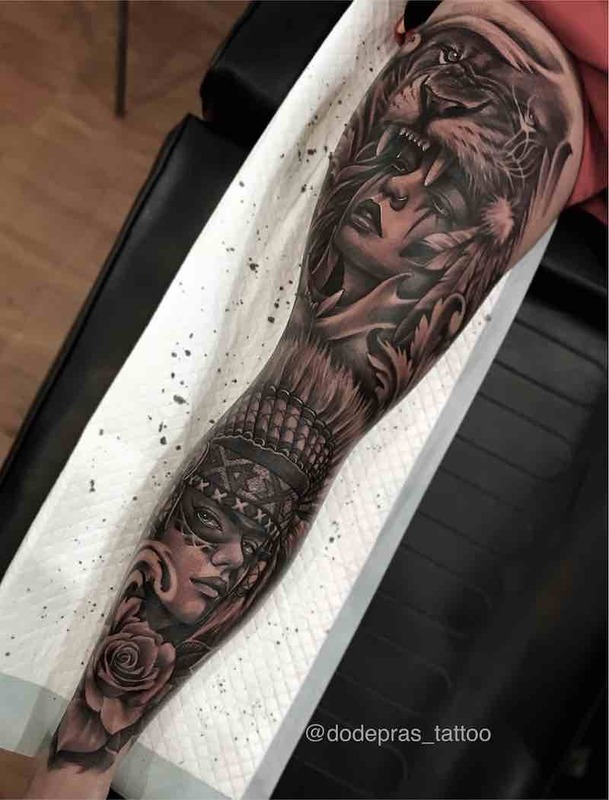 When the tattoo sleeve is in black and grey it can blend designs together making the tattoos look part of a single tattoo sleeve design. 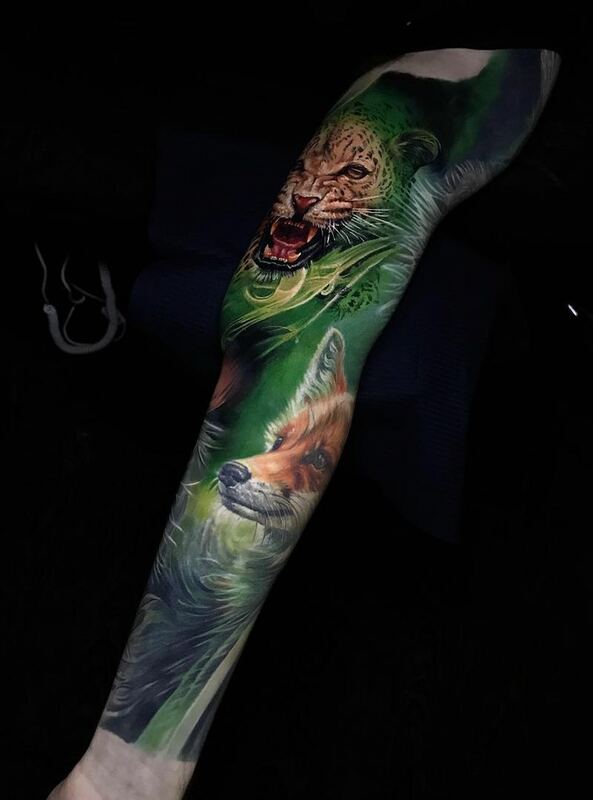 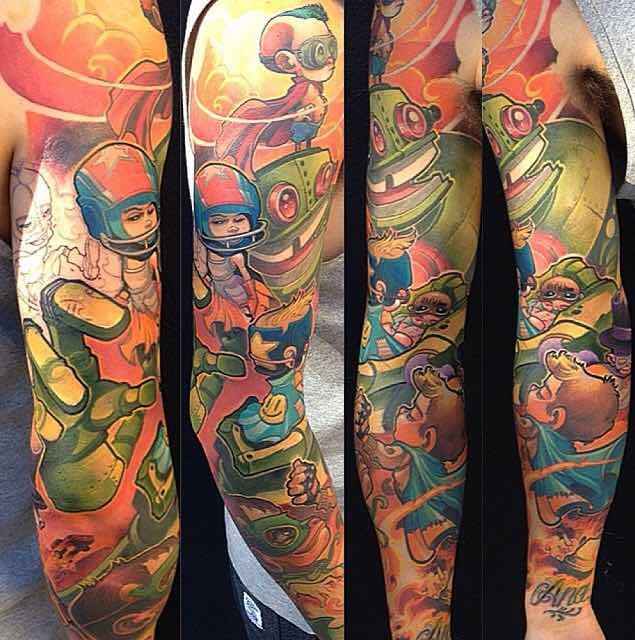 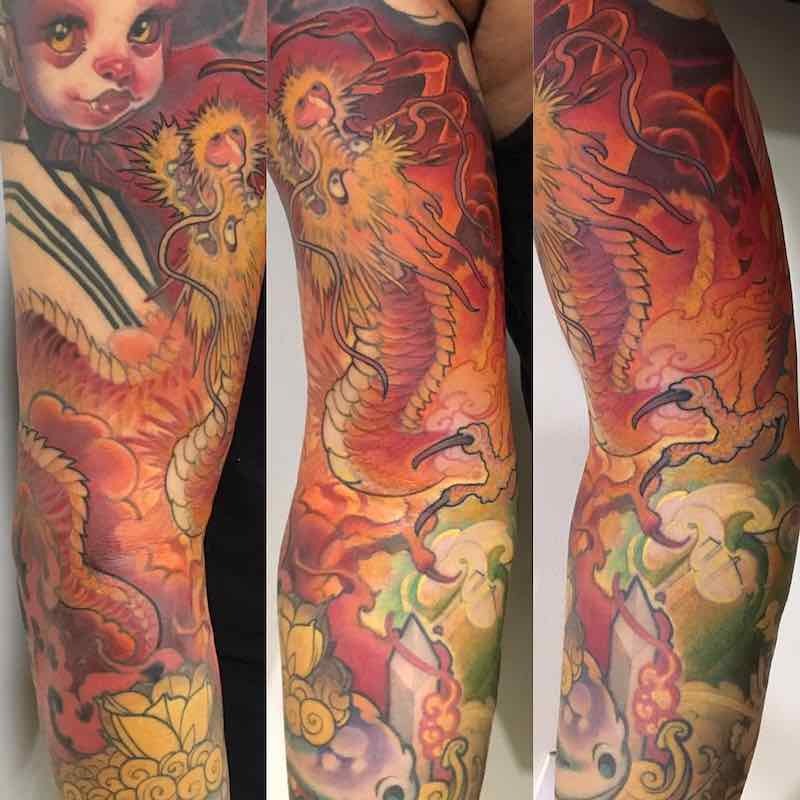 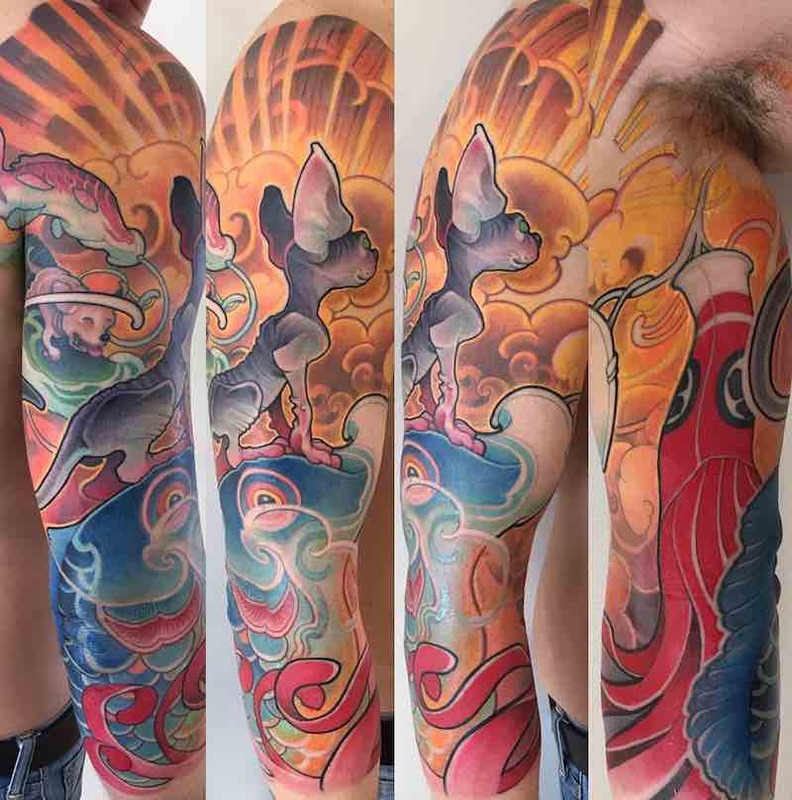 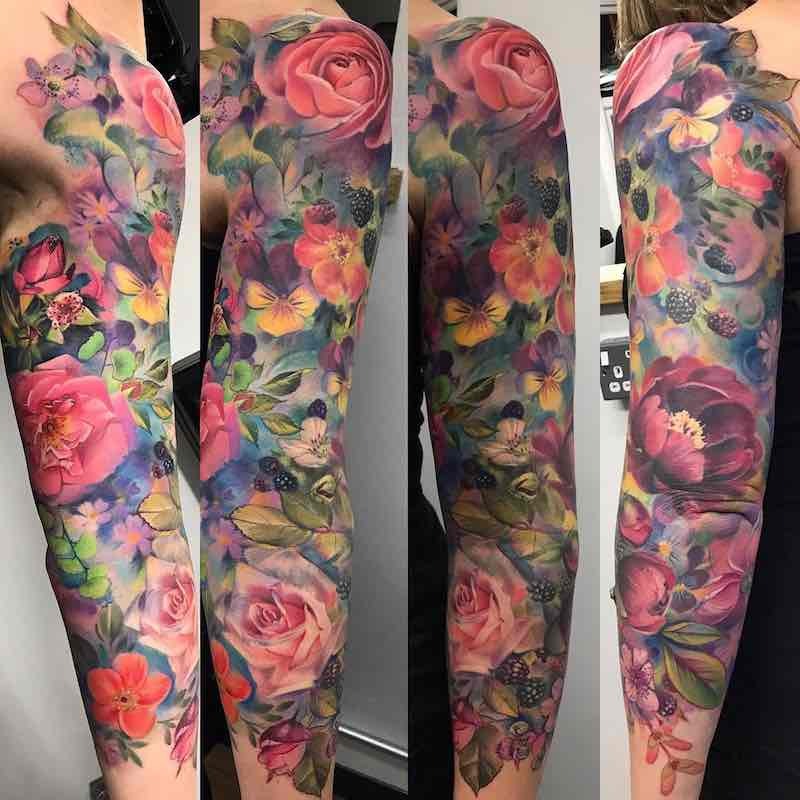 One thing to consider when getting a full-color sleeve tattoo is color fading so it is important to get a touch up when fading starts, although colors can stay vibrant and bright for many years depending on how much the tattoo sleeve to exposed to the sun.